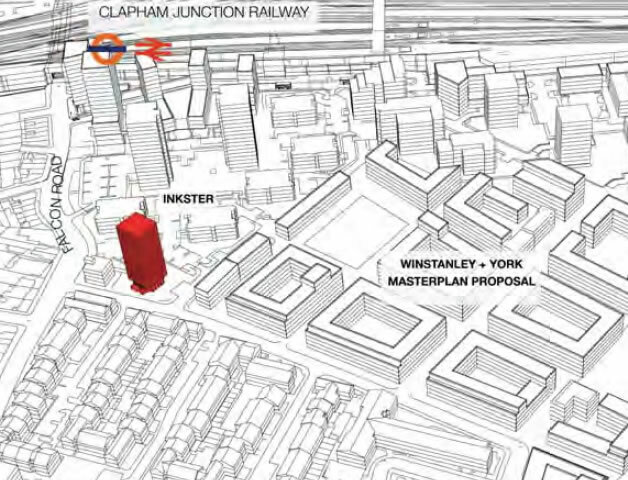 Plan as shown in the “update” booklet: still cluster of 20+ storey towers near Flacon Bridge, despite Crossrail saying this area is reserved for station entrance. 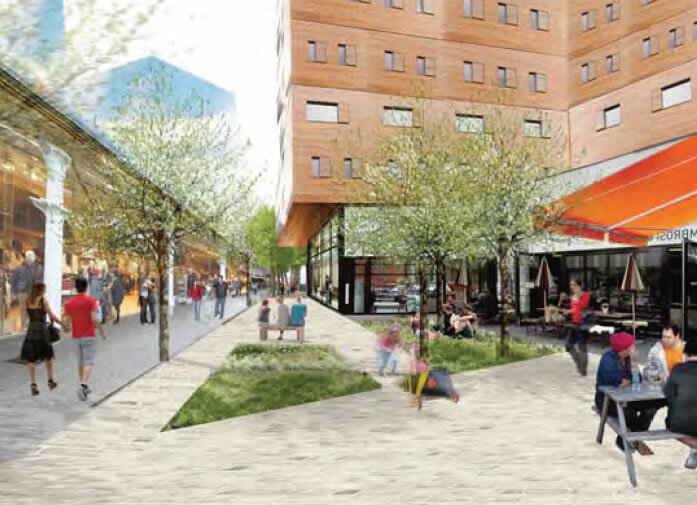 On the last day of 2015, Wandsworth Council published a detailed booklet updating residents on the regeneration scheme for the Winstanley and York Road estates. You can also download a copy now from the council’s website. 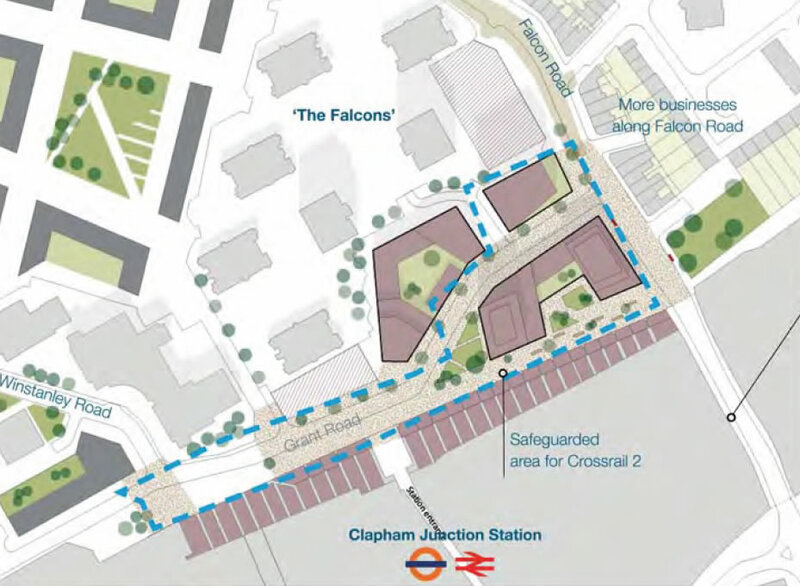 On March 24th, the government updated plans to protect the proposed route for Crossrail 2 from conflicting development and the full area between Falcon Road and the Grant Road station entrance is still protected, which is preventing developments. 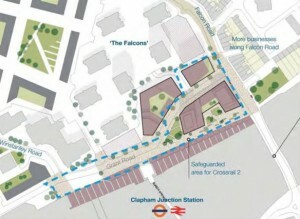 Station Piazza as seen by the Council in December 2015, ignoring that Crossrail2 intend to locate their entrance at that place in 2030 and said so since March 2015! 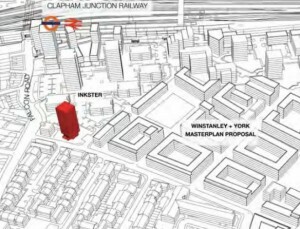 Protected area for Crossrail up to 2030 … just where the Council is planning to locate a cluster of towers. Another PR communication, disconnected from reality for Wandsworth Council?